Indian coast guard rescues seven crew members of sinking barge after a distress call. The call was received at Coast Guard Station Jakhau at about 05.45 hrs on 15 April 19 seeking assistance for their sinking barge Velim off Mithaport. 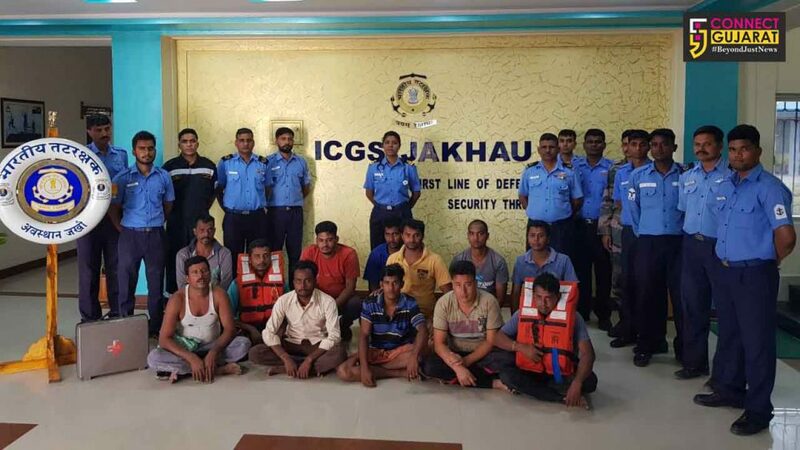 After the call ICG Interceptor Boat C-408 patrolling at sea, was diverted immediately and despite adverse weather conditions of winds gusting upto 40 kts, the search and rescue efforts culminated in successfully saving 07 precious lives. One missing crew is frantically being searched using sea air coordinated method by augmenting a Dornier aircraft.